Like any other medical emergency, a dental emergency requires quality care in a hurry. 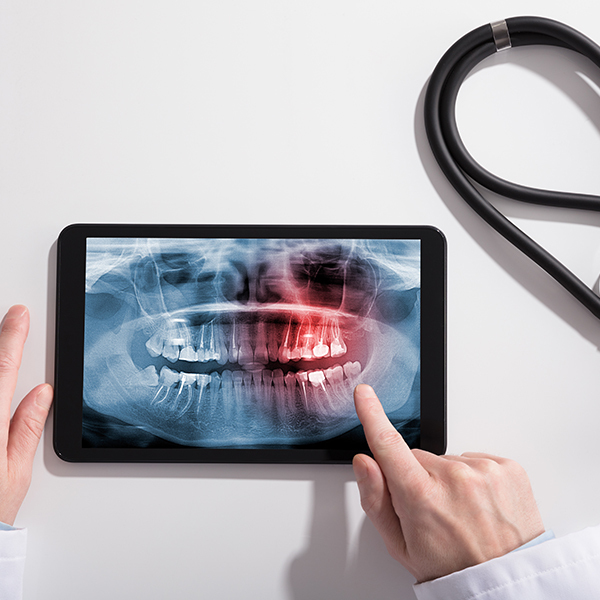 If a tooth is broken or has been knocked out, you experience pain and swelling, or you’ve had other trauma to the mouth or jaw that has affected teeth and gums, seek dental treatment right away. If you have an emergency during office hours, please come to the office immediately. If you can, let us know you’re coming. Dr. Holmes does everything he can to provide same-day emergency visits. If you are a patient of record, Dr. Holmes may even be able to see you outside business hours. Call us for details. If you are in need of immediate assistance, call now! What Could a Dental Emergency Look Like? What if it’s Just a Toothache? Gently floss to remove food caught between teeth. Use painkillers, a cold compress, and rinse with salt water. Don’t apply aspirin or ibuprofen to your tooth (more on that below). Are There Any Natural Toothache Remedies? Warm salt water is probably the first thing Grandma would suggest, and we’ll suggest it, too. An ice pack would be our next piece of advice—almost everyone has one in their freezer. Hydrogen peroxide or clove oil are possibilities for gargling, and—if you have any on hand—try sipping some peppermint tea. Aspirin, Ibuprofen & Tooth Pain: Be Careful! Never apply aspirin or ibuprofen (Advil®, Motrin®) topically to the mouth in any way. Aspirin contains salicylic acid, which can burn and damage sensitive gum tissue, and ibuprofen also has the potential to irritate and cause burns. If you want pain relief in pill form, acetaminophen (Tylenol®) is a better choice because aspirin and ibuprofen both have the potential to act as a blood thinner and cause excessive bleeding during a dental emergency. Carefully try to remove the object with dental floss. Do not try to remove object with anything pointed or sharp. If you cannot remove the object on your own, call us. If you have discoloration or bleeding that won’t stop, call us. Call Dr. Holmes right away and get here as soon as you can. Keep a cold compress on your face until you see the dentist. Tooth pieces or a knocked-out tooth should be kept moist. Keep tooth pieces in a wet towel. 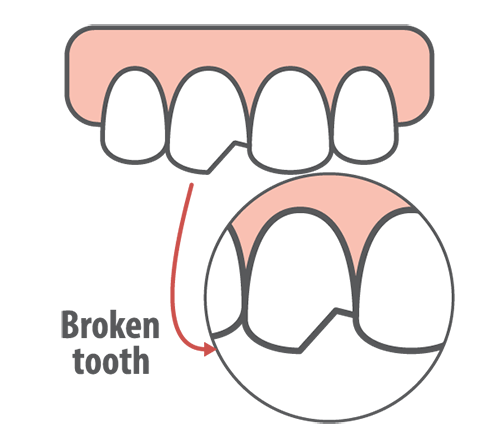 Keep knocked-out tooth moist, place in its original position if possible. If not, keep it between cheek and gum or in milk. Bring tooth pieces or tooth with you to the dentist. If you’re experiencing what you believe is a dental emergency, contact your Fort Wayne emergency dentist, Dr. Ryan Holmes right away!